The Silver Metal-Like Finish Non-Functioning Mock Security Camera looks and appears to work like a real camera. 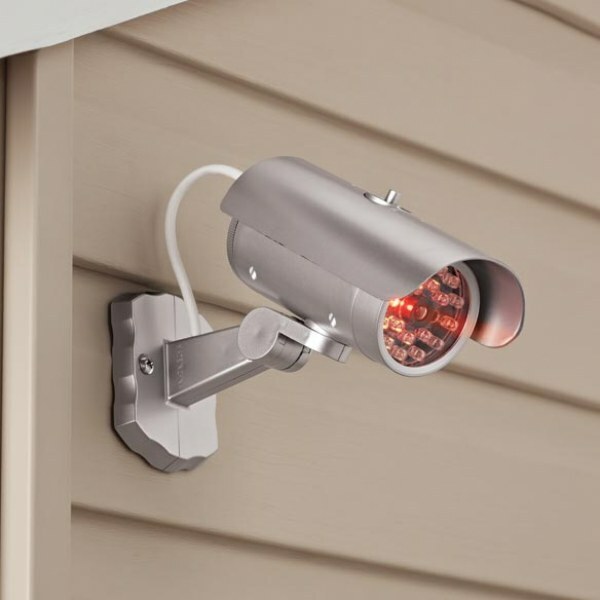 Built in with a blinking red light, makes appear to work as an actual security camera. For indoor or outdoor use. If used outdoors, place in a safe area sheltered from extreme weather, heat or moisture. No wiring needed, it is battery operated. Requires 2 AAA batteries not included.